Whether it’s about that 10-step Korean skincare routine that everyone’s been raving about or a cushion compact that swears to conceal any sort of imperfection, chances are if you dream for that flawless glass-skin complexion, you would’ve at least tried something from the K-Beauty craze. As millennials, we’ve come to find that our ever-growing need to change our preferences in beauty — be it makeup or skincare — is constantly evolving. When life was much simpler, our options were limited. But as brands start to sprout with products of all sorts, we become more complacent, and opt for products that are higher in quality and well worth the buck — I mean, why settle for less, right? It’s true that K-Beauty isn’t as dominant as it used to be, especially with the flurry of advertisements of new products springing up every second, it’s definitely a tough beat to keep up with what’s in trend and what’s not. Still, despite the saturation in the market, the K-Beauty industry is coming back stronger and better than ever before to meet our (long list of) needs — from new breakthrough formulas to premium packaging and… well, literally whatever you can think of. LANEIGE Perfect Renew Regeneration, $88. Available at all LANEIGE counters and Sephora. A perfect example of how consumer research was used to develop new products in the K-Beauty industry is LANEIGE’s Perfect Renew Regeneration serum. 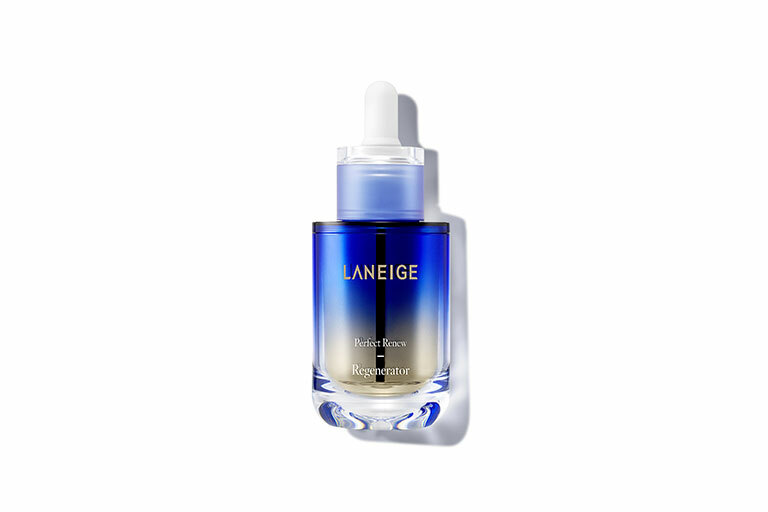 Using industry research and insights gathered, LANEIGE has developed their own serum to cater to the specific needs and concerns of their consumers. In short: It’s made by consumers, for the consumers. How cool is that? In this article, we’re unveiling some of the current key trends that the K-Beauty industry has in-store for us, and some new insights to the directions of which your favourite brands are skewing towards. 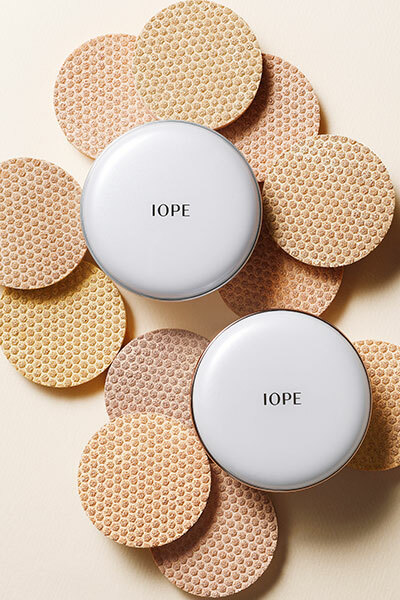 Launched in 2008, the first cushion foundation was invented by K-Beauty brand IOPE, which sparked a roar in the beauty industry with an overload of new cushion foundations that followed after. As time progresses, it’s obvious that the number of options available in the market have grown to more than a handful — to the point where it becomes overwhelming for some of the consumers. However, some K-Beauty brands have taken things up a notch with the introduction of new formulas and reinventing their cushions with skin benefits such as the inclusion of UVA/UVB, anti-ageing properties and so on and so forth. 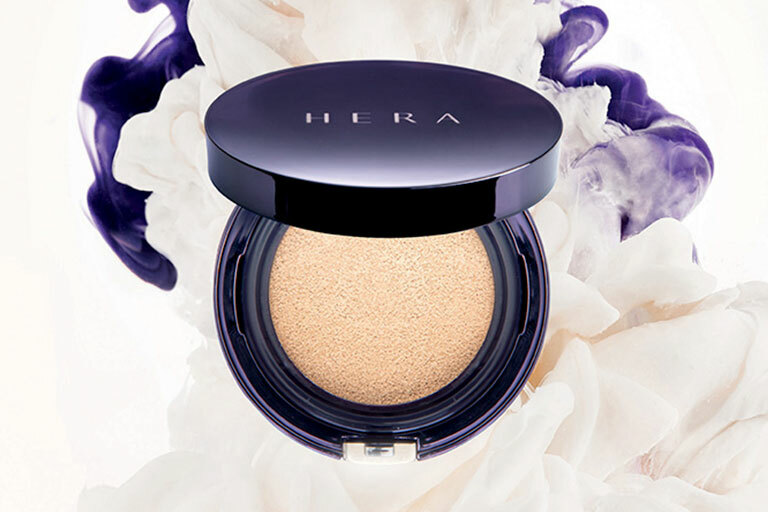 A force to be reckoned with, HERA, leads on as one of the top beauty brands in South Korea with its signature cushion foundations. The brand has recently arrived on shores in Singapore late last year and has seen the likes of many influencers and beauty fans alike. Their cushions, notably the Age Reverse Cushion, is one that has revolutionised the idea of a multi-beneficial cushion. It’s known to deliver anti-ageing properties to the skin with Glycoprotein water that’s said to have an anti-oxidative effect that treats any visible signs of ageing. Moreover, it comes with SPF — still, it shouldn’t take the place of your daily sunscreen — but it’s a great way to reapply some sun protection while you’re on the go. It’s safe to say that a number of us fall into the crowd where we’re always concerned with the ingredients that we put on our skin. Yes, we agree: We’re guilty of getting products because of its attractive packaging (because if it looks good, it should feel good, right?). But truth is, for some, it’ll actually do more harm than good to your skin. 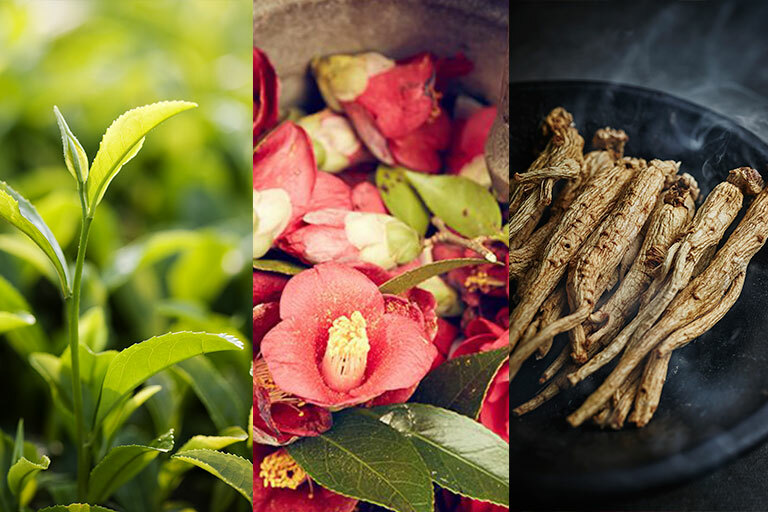 In an interview with Ms Jean Choi, Senior Researcher at Amorepacific’s Singapore R&I, she tells us that the staple ingredients used in most Korean products now circle around 3 main ingredients, namely: Green tea, Camellia Flower and Ginseng. All of which have become the basis of the philosophy for many brands, including innisfree and Sulwhasoo. innisfree Camellia Essential Hair Oil Serum, $15.25. Available at all innisfree stores. 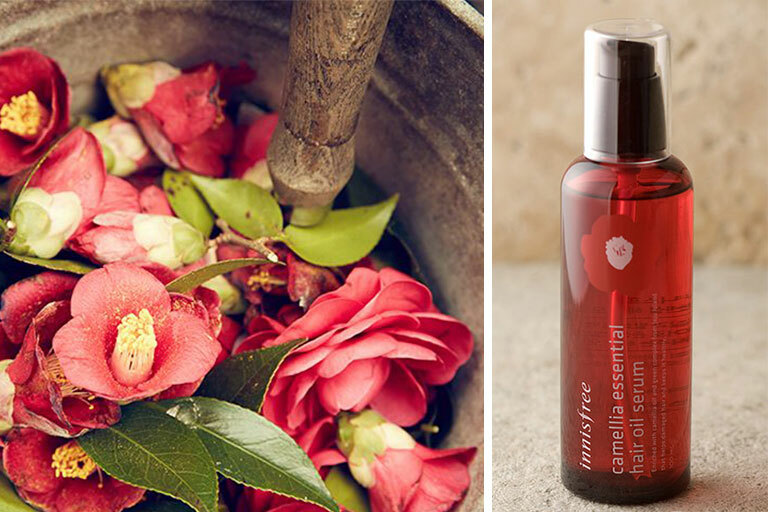 High in oleic acid, the Camellia flower is the first of the three key ingredients that have made its way in a ton of beauty products with its moisturising and barrier-enhancing properties. An example: innisfree’s Camellia Essential Hair Oil Serum. It goes on seamlessly and provides long-lasting moisture for your mane for the whole day. Sulwhasoo Concentrated Ginseng Renewing Serum, $265. Available at Sulwhasoo stores and TANGS. Need a boost of moisture while firming and strengthening your skin’s barrier? 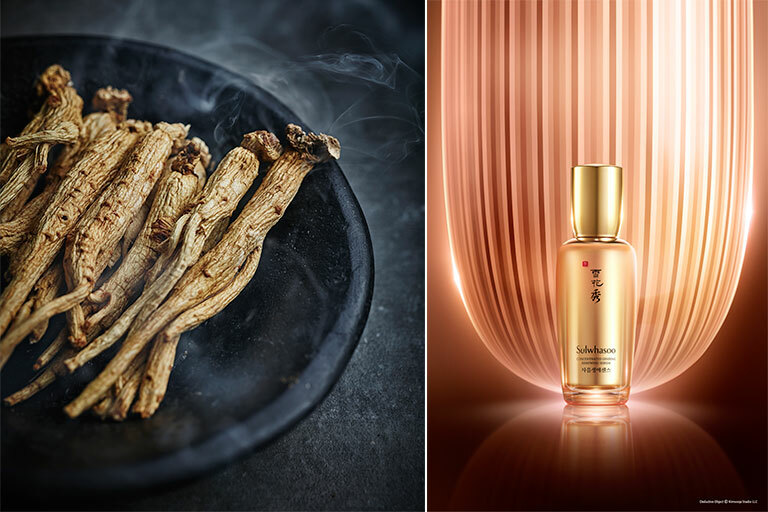 In skincare, ginseng is said to be an essential ingredient in anti-ageing and is well-known for its energizing and stimulating benefits which increases the skin’s energy and vitality! Take, for instance, Sulwhasoo’s bestselling Concentrated Ginseng Renewing Serum which smoothes and firms your skin while fighting any signs of ageing. 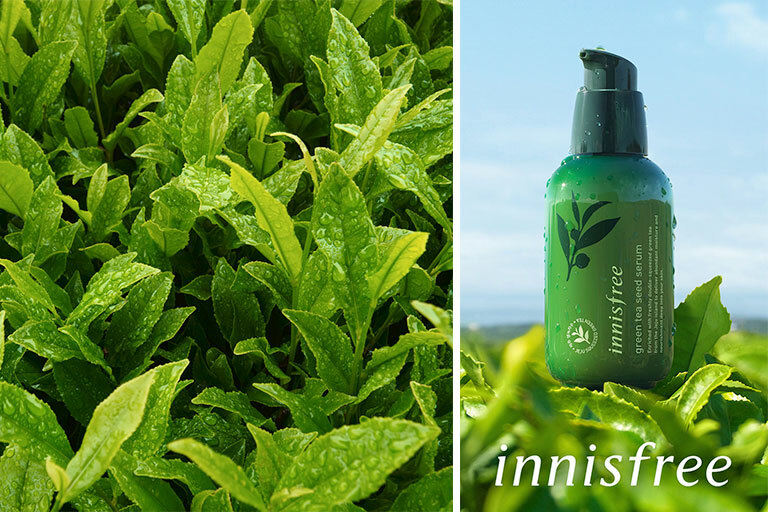 innisfree Green Tea Seed Serum, $36. Available at innisfree stores. We love drinking it as much as we like putting it on our face. Now, it comes as no secret that Green Tea is a definite must-have ingredient in your beauty routine and it’s all because of, not one, but a few reasons. It fights skin cancer, has anti-inflammatory properties, is an antibacterial agent, supports skin cell renewal, brightens and depuffs eyes, and stimulates hair growth! Contrary to popular belief, K-Beauty has always been well-known for their popularised dewy skin complexions that comes with a natural sheen to it. However, research has shown that consumers are slowly shifting towards a matte finish instead of the latter — with good hydrating properties, pore control and higher coverage. Taking all of it into account, it’s clear that the dewy look is slowly phasing out, which may bring about the rise in mattifying products in the future. 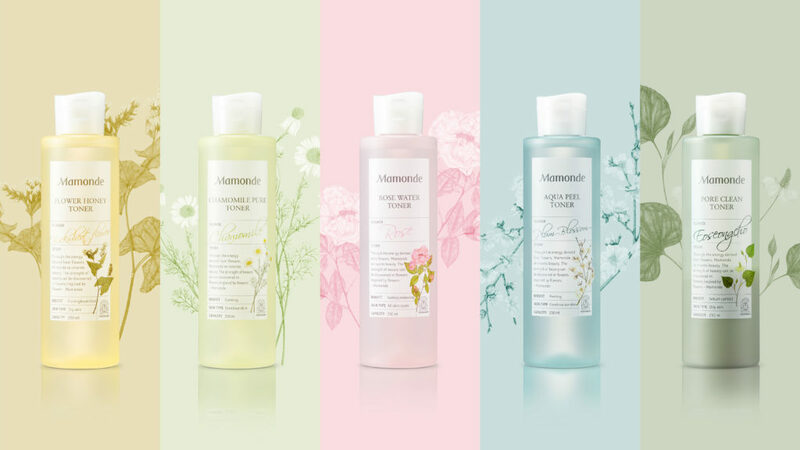 Mamonde Toners (L—R): Flower Honey, Chamomile Pure, Rose Water, Aqua Peel, and Pore Clean. Available at all Mamonde counters and stores. On the flipside, when it comes to skincare, it’s said that consumers are skewing towards products that are more fluid and lighter on the skin. Just like your basic essentials like your toners and your serums. Besides, no one actually enjoys having their skin being weighed down with 10 layers of nonsense — oops! Take, for instance, Mamonde‘s highly-raved toners that come in a variation of scents, targeting all sorts of skin conditions. I tried Mamonde’s Rose Water Toner once and it definitely left an impression. Aside from its heavenly scent, the toner really felt light on my skin and it didn’t leave my skin feeling dry. In fact, I could see complexion improving as the days passed. Although if you’re not one who likes something scented, I wouldn’t recommend it as it may come off as off-putting to some. 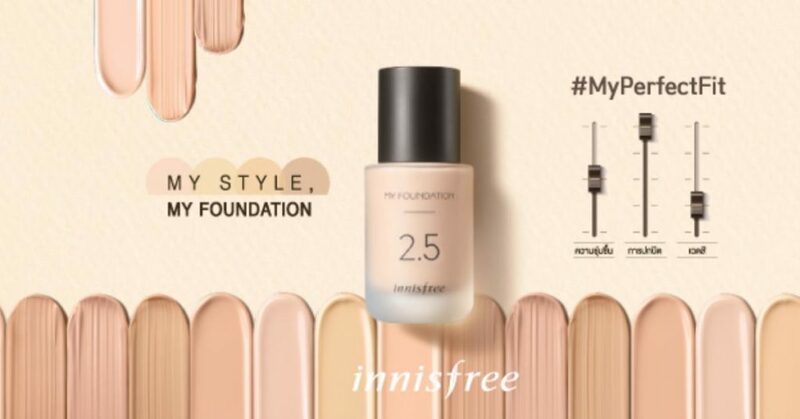 innisfree #MyFoundation, $33.26. Available at all innisfree stores. We all know 10 shades of beige foundations won’t cut it anymore. Thankfully, with the expansion of the K-Beauty industry, leading industry brands such as Amorepacific are expanding their focus towards satisfying a more global customer base; for instance, we know that market research has already been done for a particular beauty subset, Muslim women. What this essentially means for the market is that there’ll be an inclusion of a more diverse range of foundation shades, as well as the expansion of other beauty lines too. Take, for instance, innisfree’s line of foundations that comes with 3 different types of finishes (Matte, Semi-Matte and Glow) and most of all, it comes in 30 different shades — which means there’ll be more options for those with medium/tan shades! Now, it may not be as diverse as Fenty Beauty’s line of Pro Filt’r foundations, but at least it marks the start of a more inclusive range for the K-Beauty market. How about a ’round of applause! With that having said, aside from accommodating to the different skin tones, Muslim women, in general, have to wash their face 5 times a day to perform their prayers. Hence, it is key for K-Beauty brands to factor these points and ensure that their products are long-wearing and are more resistant to the weather. And of course, this brings about the key focus on finding lightweight options for women — so as to ease the removal and application of makeup before/after prayers. Some of the participating brands that will foresee change and expansion in the future include: innisfree, Laneige, Sulwhasoo, Mamonde and Etude House.